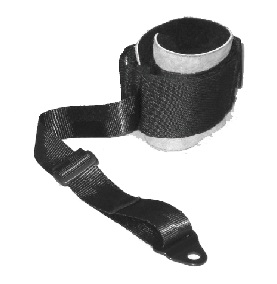 Houdini Straps are used to aid in upper limb control through the use of a cuff. 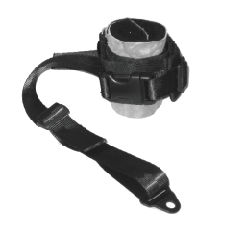 This is mounted off the chair and wrapped around the wrist or forearm. The wrist straps come with a velcro close or a buckle. Houdini Wrist Straps are designed to help minimise accidental damage to the wearer whilst also being comfortable and unobstrusive. The strap is not designed to be a restraint device. It is advised that a risk assessment should be taken to ensure the issues and benefits have been considered and agreed with the patient, family, carers and other AHPs involved. The wrist straps come in two sizes Basic (23cm long) and Standard (25cm Long) with fleece pads (6cm wide) Heavy duty option also available with buckle on strap to prove more strength.